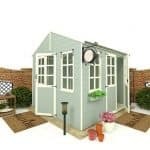 This is a modern looking, stunning garden feature with wide open glazed double doors and glazed windows giving you great light and air inside and excellent views of your garden. 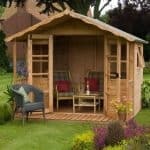 Constructed from hard wearing and long lasting wood, with 11mm thick tongue & groove cladding it is built to last. 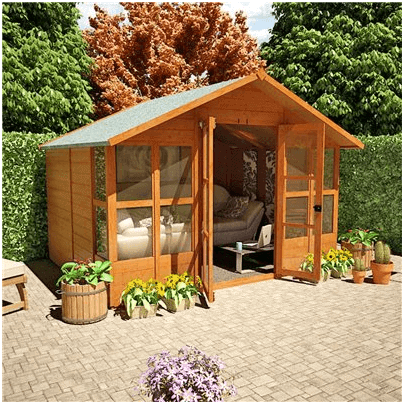 The pretty roof has high grade felt to protect from all weathers, it is both comfortable and cosy and a great place to take a break in. 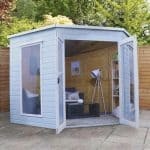 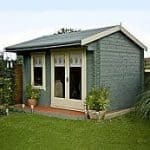 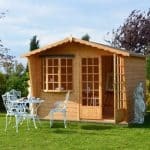 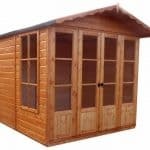 You will be delighted with this summerhouse in your outdoor space.